People in South Africa are forever trying to escape reality. Caught between yearning for a greater tomorrow and memories of a much better past, they are masters at creating a different world from the one they have and perpetuating cliches about times and places they would rather be. It is probably the only place on the planet where you can have a hotdog better than one in New York, pizza that is done better than in Italy, and Swiss cheese made better than in Switzerland. It only fits then that you also have a little bit of Paris in Hartbeespoort that is in some respects better than the real deal. It is called the French Toast Coffee Cafe. 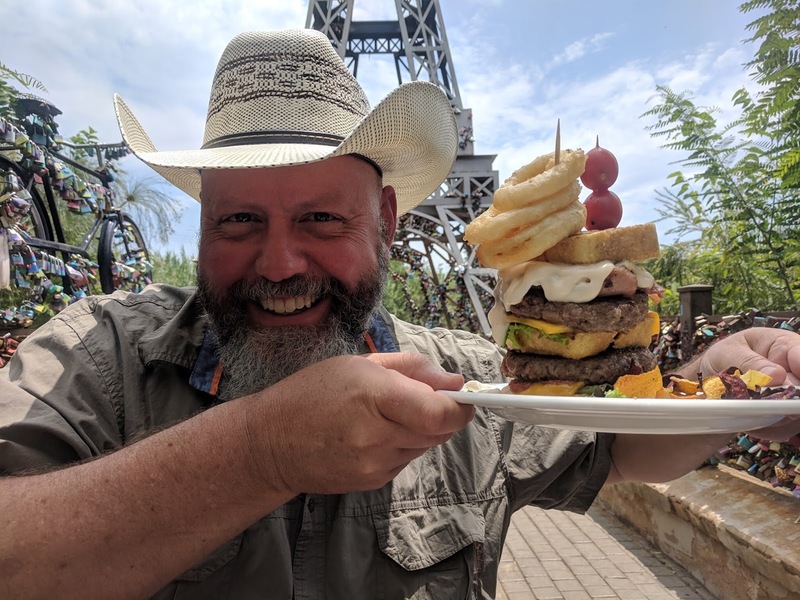 This is part of the TWO COWBOYS' EPIC GLOBAL TRAVEL & CULINARY EXPERIENCE - 2019! DO YOU WANT YOUR BUSINESS OR COMMUNITY FEATURED? South Africans are an industrious bunch. Regardless of geographic isolation and years of culture detachment and division, they don't shy away from the challenge to innovate and create something in the image of what they think it should be. They are masters of cliche. If they think Texas is about barbeque, then they will make it more barbeque than Texas. If they believe Paris is about love, South Africans will make it more about love than it can ever be. 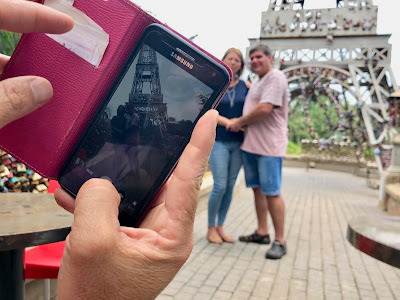 If they think the French eat French Toast burgers, then that is what you will get at a French-themed coffee shop in Harties, and it is likely to be better than even the best French Culinary Master would be able to make. On our recent trip to South Africa, we met up with our long-time friend and fellow movie maker, Paul Kruger. He is the maker of the Eiffel Burger, proprietor and creator of the French Toast Coffee Cafe, and initiator of a series of destination-themed dining and weekend experiences in Hartbeespoort Dam. His business came about because Paul's invested in movie sets. 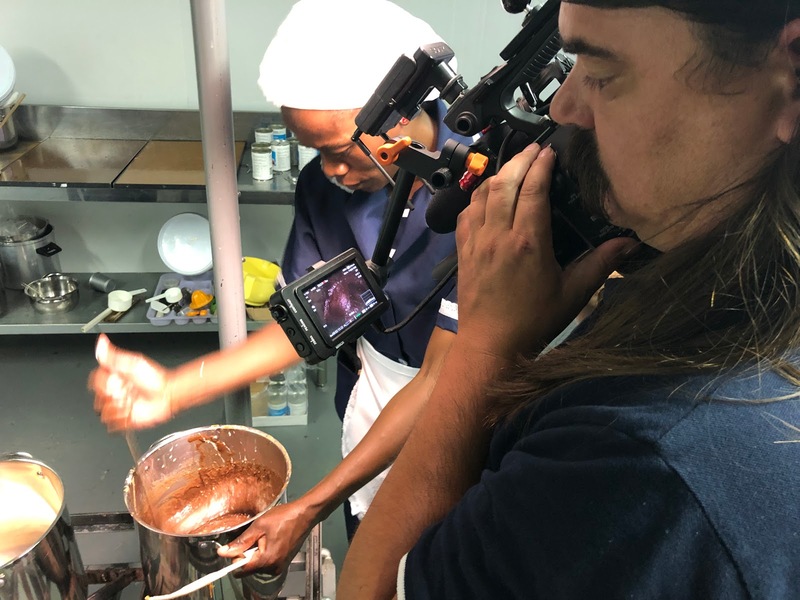 Hartiwoodfilms, another of his companies, is responsible for a mini-renaissance in Afrikaans language movies with successful productions such as Liefling, Pretville and you guessed it - French Toast! 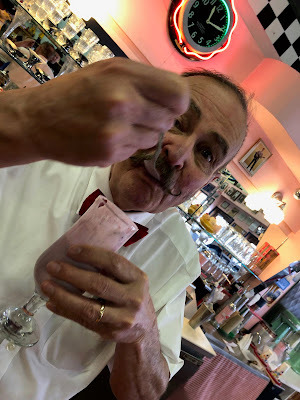 The dining experiences became an extension of the movie brands, and the investment he made in the film settings was repurposed to continue beyond the movies. 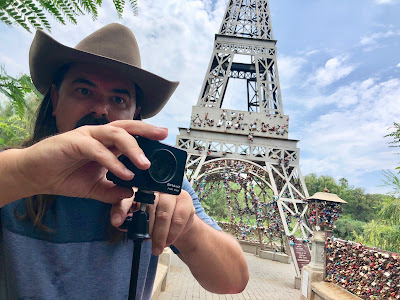 While the movies were doing a phenomenal job at exploiting the cliches in the Afrikaner mind, Paul seized the opportunity to turn an average financial return from moviemaking in a small and niche market, into a popular merchandising and destination themed-experience goldmine. Disney's been doing it forever. Trust a South African to try and do it better! 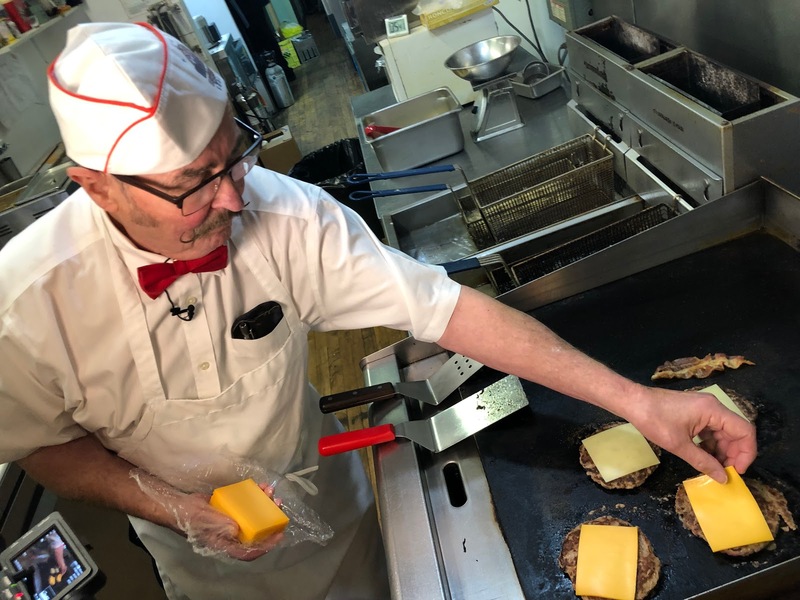 If his Eiffel Burger and the line-up of people waiting to be served on weekends is a testimony to his success, I think Paul hit the jackpot. Paul showed us how to make his monster Eifel Tower burger at French Toast Coffee Cafe. We tried to finish one while we discussed the perils of entrepreneurship and owning a business in a country ready to confiscate your property at any moment. "It is about job creation", Paul said. The more people you include and involve in your enterprise in South Africa the more people can have an opportunity to benefit from your work. While government corruption in South Africa is as rampant, as it usually is in the developing world, the ultimate focus for these businesses and their entrepreneurs, on the ground, is job creation and upliftment. 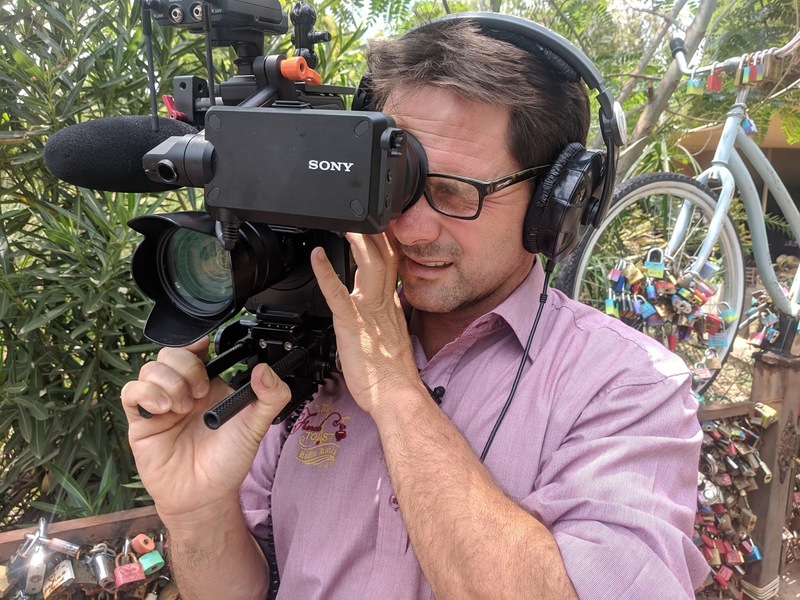 Regardless of the country's difficult circumstances, and the hardship of movie makers and content producers to get paid in South Africa as it is anywhere in the world, Paul convinced us that there are still opportunities with the right approach. In his own words, "I make movies to sell milkshakes". Herein lies the most important lesson for us, the Two Cowboys. It should be a lesson for most fellow content producers. We should use our content production and promotional power to sell our own 'milkshakes'! There is merit in trying to convince clients of the power of good online content's ability to build their businesses and promote their products or services. However, it's getting harder and harder for us, as content producers to make a business of it. 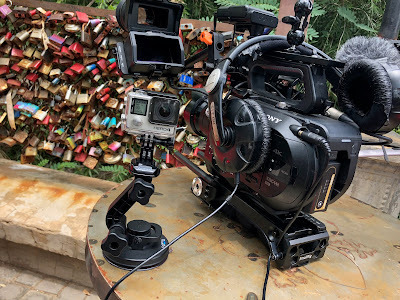 Instead, the value of good production and storytelling have been destroyed as a result of factors such as the proliferation of high-quality cameras, the ease of basic editing tools, online self-publishing and an avalanche of social and other media content. 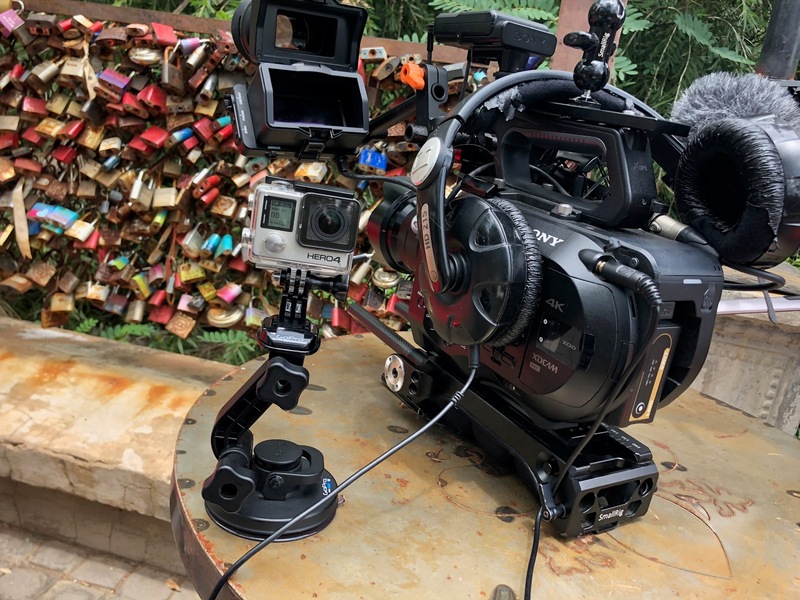 Even robots are in on the act of stitching together a few images, music and some text in a 'video' or a news 'article' for so-called publishers. Gone are the true journalists, producers, directors, editors and publishers. Now, 'anyone' can be a writer, videographer and a publisher, and the real professionals are poorer because of it. So is the audience when their intelligence is insulted, and their time wasted. However, that is a story for another time. As marketers, we know that good and well-made content, delivered to the right audience, works to build a business, sell wares, engage customers, entice prospects, and grow a brand. In a world where advertising and promotions moved online, a successful business has no choice but to have good, engaging, positive, informative, authentic and well-produced content, and lots of it. It gets and holds customer attention. Having no content is fatal when a prospect's attention comes at a premium. Simply, out-screaming your opposition no longer works either. Audiences merely click or swipe away. Poor content like bad reviews, meh pictures, amateurish or meaningless slow motion feel-good music videos on YouTube, Facebook and Instagram, is equally compelling in destroying budgets and damaging brands. For an excellent example of how not to do it, have a look at Tourism Associations' online marketing efforts. They are the last to discover how a colossal and useless waste of time and money meaningless feel-good content is for marketing. It is because they don't spend their own cash on it. If it was their own money they would have already been confronted by reality, and most probably fired their social media managers and supposed 'content' departments and 'influencers'. With online media consolidating, the Facebooks and Googles of the world are again making it harder for businesses to get access to, and communicate with prospective customers. 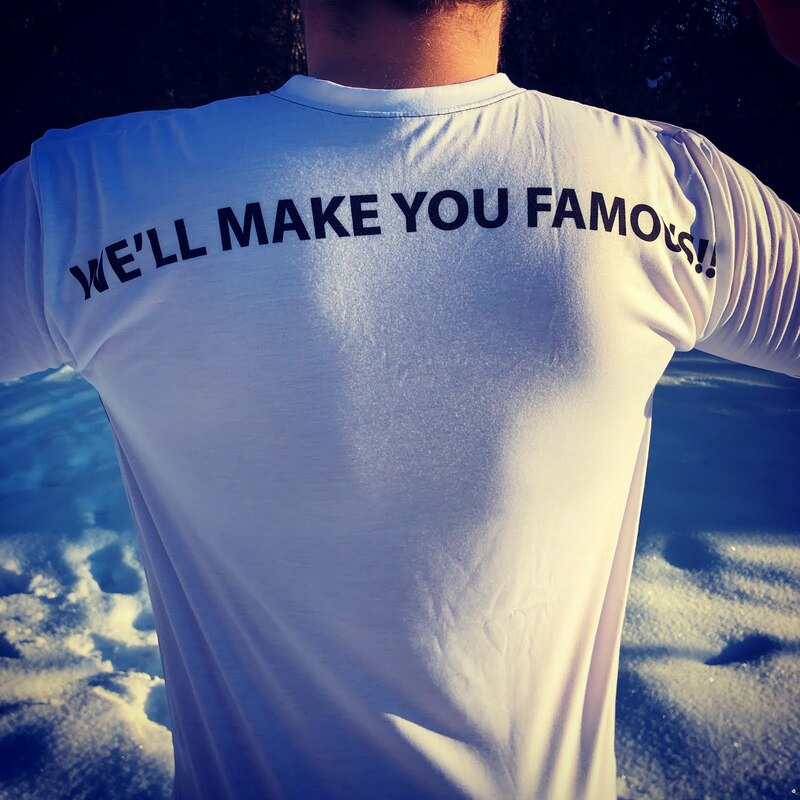 There are solid examples and their own admission of how they actively force businesses to buy the attention of prospects. They do it by lowering search rankings and limiting content access within people's social media feeds. Heck, they are even paid to manipulate national elections! Unless a business is prepared to put out for a few AdWords or pay for Boosting a post, you can kiss communicating with your prospective and existing customers goodbye. These companies are not in the business of giving you free access to prospects, and they are not charities. Look at their profits. Selling access to users' attention is how they make their money! When you spend money for eyeballs with these elephants, you better be sure that the eyeballs you get have something enjoyable, engaging, and informative to see. We predict that there will be a time again when access to an audience becomes so expensive that businesses will no longer hesitate to invest in good quality content to draw and keep prospects' attention. Then there will be demand again for good content producers like the Two Cowboys. Until that happens, we should use our capabilities to produce content about, and sell our own milkshakes, burgers, beard oil, brewing ingredients, tours, cabins and RV's. That is why a movie guy became a milkshake guy. We congratulate Paul for setting the example. What if the end is only the beginning? People are often confronted with significant changes and choices in life. We've all been through it. The start of a new job, the loss of a friend, sickness. Moving away from home or moving in with someone you love. Buying a car or choosing a house. Starting of a new business. Some changes are forced upon us due to circumstances. Others, we do to ourselves. Whenever a significant change occurs, we are confronted with at least two perspectives. The one view is a feeling of loss, decline, powerlessness, and the lack of control. The other a sense of gain, re-birth, strength, and a new beginning. It doesn't matter how small or large the change is. The key to success in life is how well we deal with changes. How good are we at moving away from what we had, towards something new? Nature is in a constant cycle of decline and renewal. It should be natural to us as humans too to easily let go of the old and to welcome the new. Why is it so hard then for people to embrace the same fluidity of life? It is because we trap ourselves in temporal illusions. Our imagination creates time, circumstances and places in distorted realities. In our silliness, we fear losing things long gone, while holding on to things that may never be. Our perspectives define our reality. The hardest task then is to tie our reality down to the truth of where we are now and what we need to give up to move forward. When we are honest with ourselves, we will realize that every change is a goodbye to get a hello, an end for a beginning, letting go for something new. Without this realization, we risk being trapped in an illusory twilight of despair. It will destroy our spirit if we cannot say goodbye. We won't have a future if we do not say hello. Greenwood City in British Columbia has been saying goodbye since 1918 when the copper mine and smelter closed. It's been saying goodbye for such a very long time that it became trapped in a very real twilight of despair and decay. Old buildings crumbled, people moved away, and businesses left town despite the city seeing an average daily traffic pattern over 3,000 vehicles during the summer months (Traffic Patterns, 2011). It may well be on the road to oblivion like its predecessors Phoenix, Bridesville, Sidley, and others if it doesn't embrace a future. Because of the city's rich history and its record resistance to change, Greenwood also attracted people fearful of letting go. You can see it in the junk of the yard collections. The failed upkeep of its small houses, and the prevailing rust of the old clunkers in the driveways. We think that Greenwood and the area are poised for change and on the verge of a millennial renaissance. It is the right time now for the City to move towards its tomorrow as more and more people drop out of big-city life, avoid daily commuting, expensive mortgages, and having too much meaningless stuff. Greenwood could and should say hello to young families, college graduates, entrepreneurs, crafters, makers, small houses, new buildings and people that embrace lifestyle, simplicity and old-school authentic values. The mine won't give it a future. Instead, it should court producers, makers, and telecommuters - the foundation of a new economy. The last thing Greenwood needs is a Mickey D's on the corner, Starbucks or a Safeway parking lot. Instead, it requires a butcher, doctor, grocer, candymaker, woodworker, cabinet maker, knifemaker, weaver, and it needs more people that realize that it is an affordable place to work and live - really live. It has the required vehicle traffic. 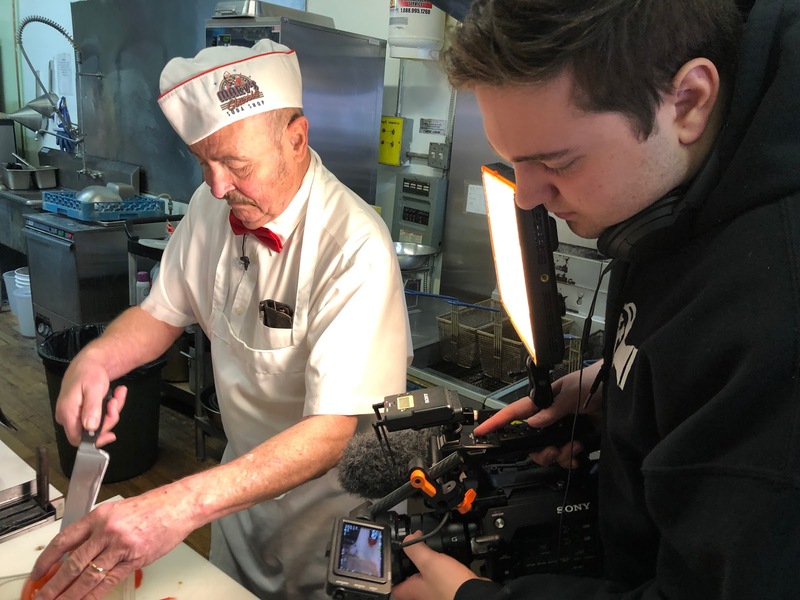 Greenwood just needs to give people more reasons to stop, and some will even choose to bring their dreams, hobbies, businesses and jobs to stay. 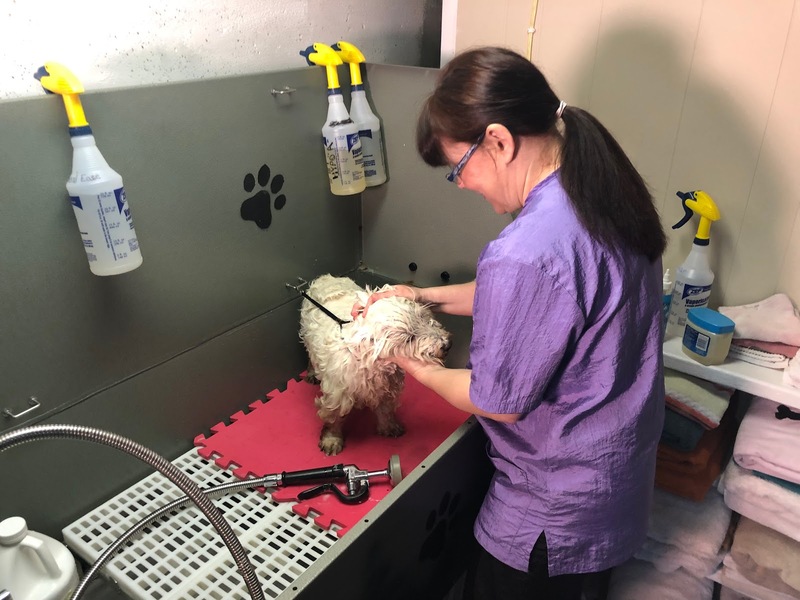 Tammy Bowering moved to Greenwood and established her Country Suds Dog Grooming in 2018. She just realized that Greenwood has dogs that need grooming. 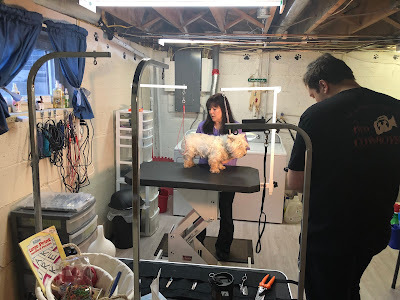 Her love for dogs compelled her to say hello to her future, and she started her small grooming business. 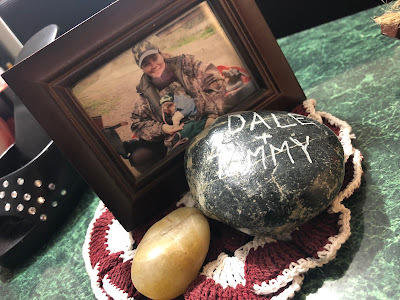 It's been growing steadily, and we are proud to feature her as part of our portfolio of Boundary Country stories. Tammy is so passionate about the future of the City that she is now heading the Greenwood Board of Trade. It is an organization that was incorporated in 1899, just two years after the city itself was incorporated. 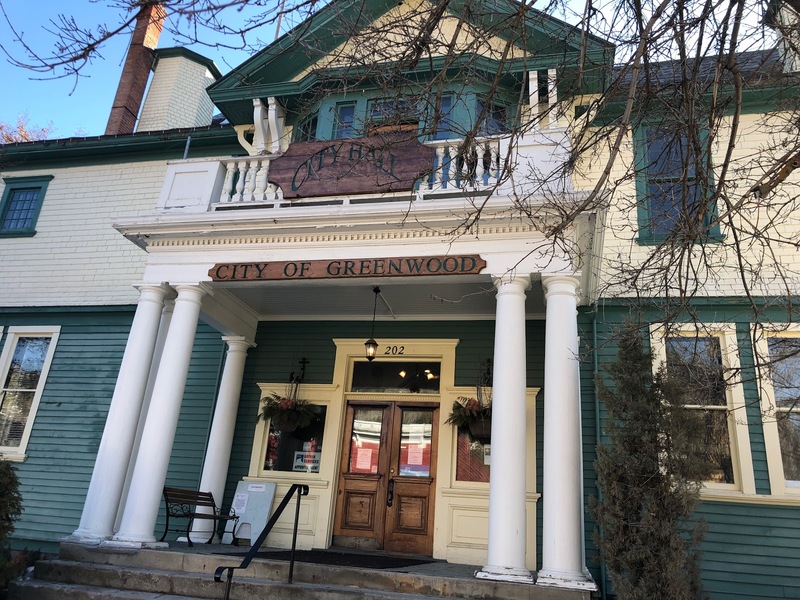 The chief goal of the Greenwood Board of Trade is to promote economic and community development, networks with local and regional businesses, and to provide small business support. The Cowboys are glad that we can throw in our support too for the future prosperity of Greenwood. It gives another opportunity for people to find a better way to work and live in the Boundary Country of British Columbia. It is a chance for us to have our chosen lifestyle. The Cowboys have a few favourite ways to pass the time when it is cold outside. One way is to visit friends in Alberta to do some home-style cooking. 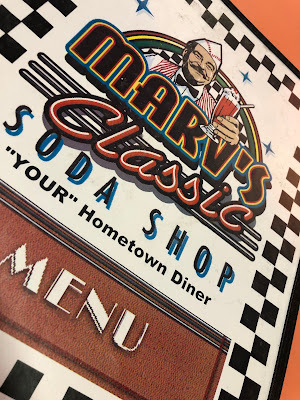 Marv Garriott, the owner of Marv's Classic Soda Shop and Diner, invited us to Black Diamond for such a visit. He wanted to tell us more about his special fried chicken and unique peanut butter burgers. We had a little surprise installed for him too with a spiked Frulatte! Winter is a particular time in Canada. Canadians find all kinds of ways to make the most of the snowy, frosty season. Ice Hockey, Ice Fishing, Skiing and Sledding are a few of the activities that make winter exciting and bearable. You also have the festivities of Christmas Markets and the Holidays that precede the big freeze. However, by late February and early March, the novelty of winter has worn off. Canadians become grumpy and start to look for something new to do. These are also the hardest months for some of Canada's tourism-related small business owners. People avoid travelling when it is cold. It means that business is slow during the mid-winter months. If you are in locations outside the main centres, you are hit harder. As a business owner, you really have only two options during this time. 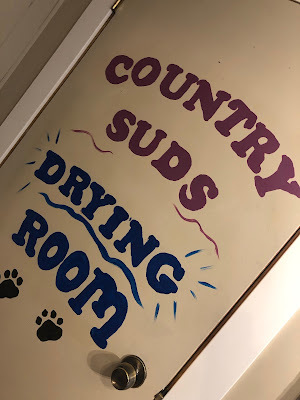 Either, you shut your doors and sit it out, or you find ways to draw attention to your store with something new or unique. A fifties diner is not new or unique. However, Marv managed to add his own personal style to this iconic attraction in small-town Black Diamond. During the Summer months, weekends are busy when people stop for a malt shake, ice cream and his unique hotdogs, sodas and burgers. During winter things are really slow. It is then that Marv comes up with new recipes and twists on old favourites like his trusty crispy fried chicken. According to Marv, it takes a little longer to properly prepare his chicken. That is why it is not on the menu during the busier summer months. He reserves the chicken for the slower winter months instead. It is hearty and worth the trip to have produce that he sources locally, brine, bread and cooks personally, for his loyal customers. We've often seen in Canada that small business close down during the winter months. They do it to preserve cash and to prepare for when the warmer season starts again. It has a knock-on effect for others in the community. When small businesses close their doors, even if it is temporary, then casual staff go without wages, local producers don't sell their produce, and destinations don't attract visitors. Surely, this cannot be good for their communities. Kudos to Marv for staying open and supporting his local clientele. All we can ask is that you give him a hand by stopping by for some fried chicken or burger, and a milkshake. Who knows, you may also be able to have a yummy Frulatte to remind you of the approaching summer? In the mid of winter, we know, it is a welcome reminder. A small business owner lives in two worlds. The one forces him or her to standardize, systematize and consolidate for efficiency. The other calls on constant innovation and change to try and out-manoeuvre competitors and market demands. A small business owner is usually good at one of these. At New Beginnings Toffees, it is the latter that stands out. Jan Snyman is always busy with something new. His adventures have one thing in common, delicious toffees and unique chocolate caramels! The challenge for a small business owner is to have the right balance in efficiency and innovation. Efficiency is not always tolerant of changes. By doing something in a standard way and scaling it, there are opportunities to increase profitability. Innovation presupposes change and is a very demanding partner that tends to destroy efficiency and gobble up capital. Sometimes, and more often than not, this means that profitability becomes a casualty. The two are in a dance that is not always obvious to entrepreneurs. These are people that favours the latter, else they would not have bothered to start the business in the first instance. It is a 'chicken and egg' situation. Innovation drives growth, but efficiency drives the bottom line. Being profitable allows further innovation. The key to the right priority is to know where in the business cycle you find your business. If it is a new business, and the industry allows it, and you have the capital and resources, then innovation should get priority. 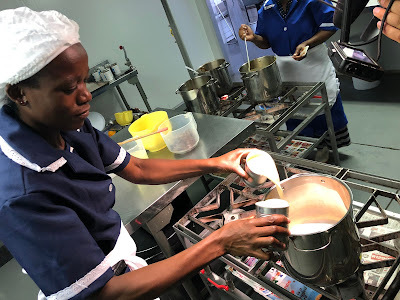 If it is an established business in a mature industry, it is usually better to consolidate and standardize to achieve efficiency and improved profitability. The trouble with an entrepreneur is that they usually favour one. Either efficiency or innovation drives them. That is why it is essential as a business owner to recognize your strengths and realize that it has a place in the cycle of the success of your business. It can also quickly become the downfall if you do not temper or supplement your focus to establish important priority on either efficiency or innovation at the right time. New Beginnings Toffees is a remarkable business that grew mainly from a necessity for Jan to have a second career. It provided an innovative confection play-pen to him and his partner, Joelean. The result is a substantial array of unique and traditional toffee-chocolate-caramel flavours, creative packaging, promotional positioning and marketing strategies. It is indeed something we have not yet encountered on our travels across the world. It is unique! 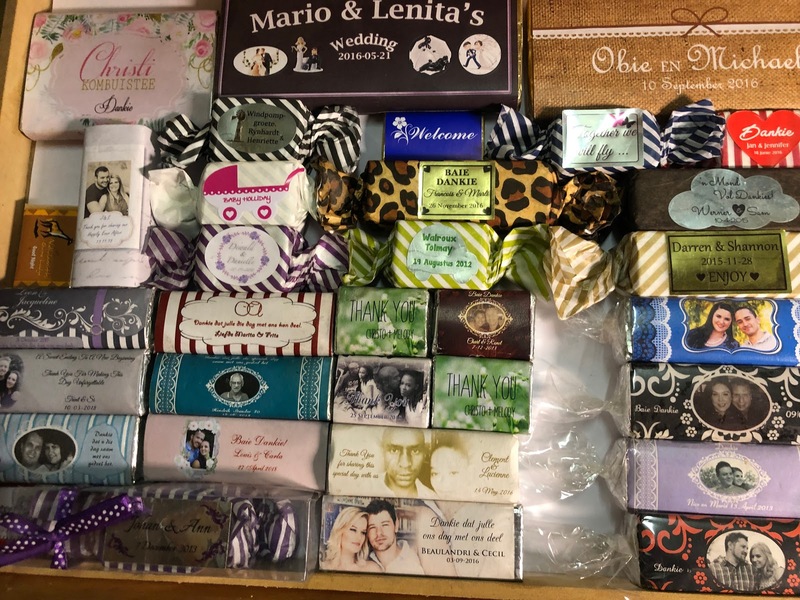 The business manufactures and distributes exclusive hand-made confectionary for select retailers, corporate gifting, hospitality industry, wedding favours and markets. Jan cannot help himself but to continually explore the next possibility within his product development. 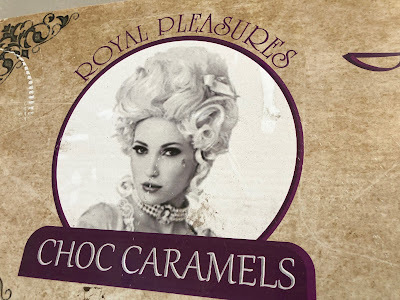 He certainly landed a few of our favourites like the Turkish Delight Caramel and Treacle Toffee. It is encouraging to see his enthusiasm for creating the next "big" thing. Unfortunately, South Africa has seen a series of casualties in strong confectionary brands. The toffees that did survive are no longer of the quality they used to be. We can only hope that Jan finds the magic recipe for successfully distributing his delicious products to step into the shoes of those that have gone before him. Here is to wishing him and Joelean all the success they can handle. May we one day taste a new beginning for toffee-chocolate-caramels all over the world thanks to the work and dedication of New Beginnings Toffees in far-off South Africa.